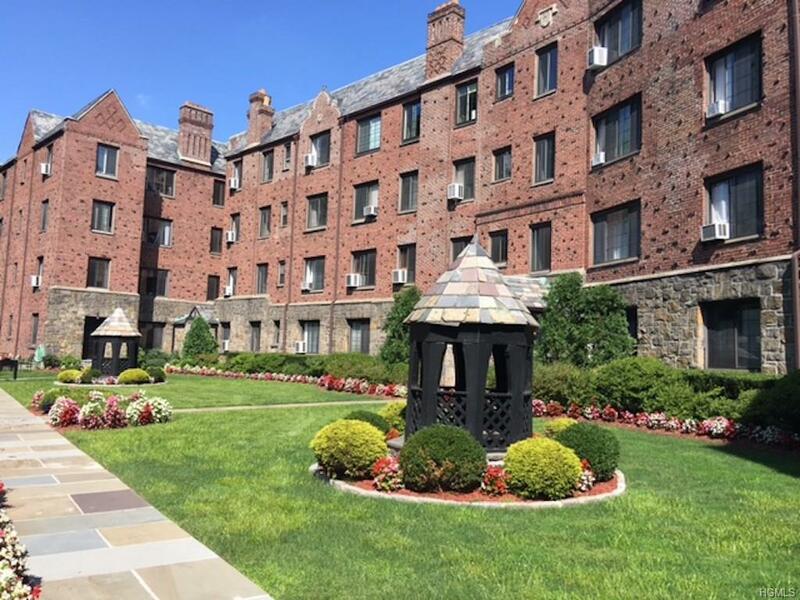 "The Fairways" is a frequently admired English Tudor Condo building in Pelham Manor with lovely gardens. It is impeccably maintained by an on site super.This is a 900 sq. ft. one bedroom corner apartment that offers an entry hall with 2 closets, a sunny eat in kitchen and a spacious living room with fireplace and built ins. A hallway from the living room leads to the full bath and the bedroom.A few of the many charming features include original wide plank pegged hardwood floors, golf course views from every window and designer light fixtures.A laundry room is conveniently located in the building.